This and That: Food Recycling and Uh-oh! Hello to you! Am in busy desperate preserving mode– so much to do, race against time and the forces of overripening, but wanted to share a few random things. 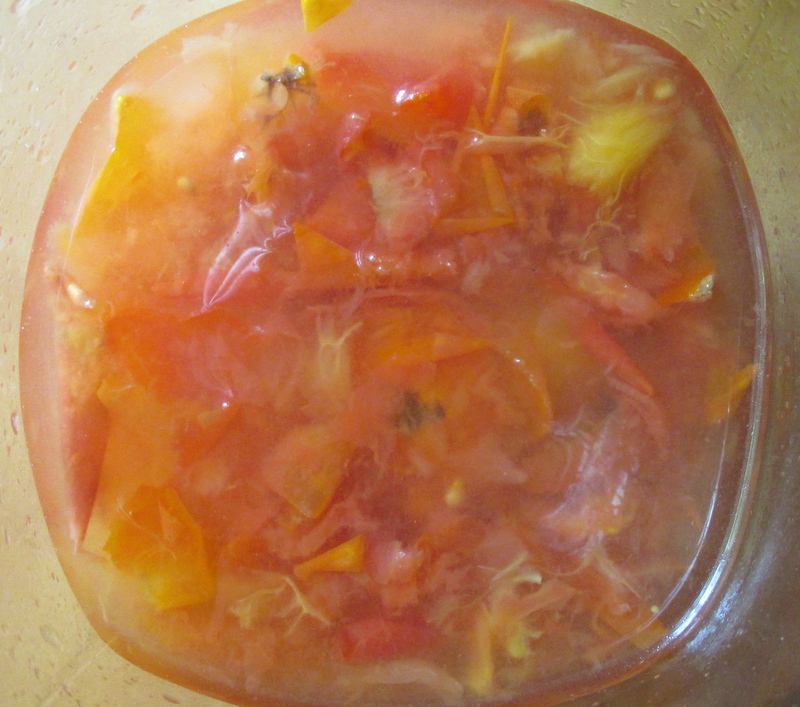 Had a bunch of very soft tomatoes, and cooked them down, then put them through a mouli to remove skin and seeds. Mixed this with water and some sugar to see what a tomato scrap vinegar would be like. Hmmmmm. I admit, I threw in half an overripe nectarine. We’ll wait and see. Went to my lovely friend Pippa’s– there’s an orchard where she lives. The plums are incredibly abundant this year and I took three bags, which barely made a dent in what she has to harvest and share. I’m plum crazy and have made Plum Kimchi, Plum Jam and Plum Carrot Chutney, which I’ll write about soon. 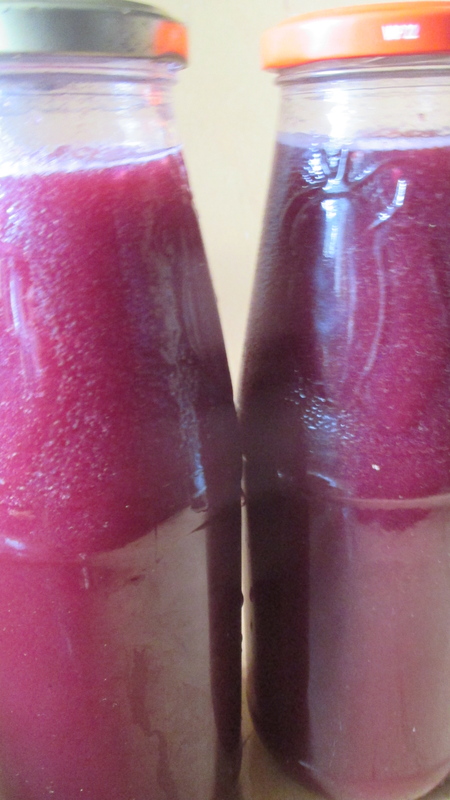 Oh, and juiced a lot of plums just to mix with water to drink as a juice. Here I’ve saved loads of the stones and am making– of course– some vinegar! Afterwards will save the stones and see if I can eventually plant them. I preserve a lot and have an occasional habit of forgetting to label. I guess I’ll just have to open it! Cannot remember! Ha ha- how to make life an adventure…my mum’s friend Mrs. B used to work in a Heinz tinning factory and got a special deal the tins that the label had fallen off, and we had a stack for take a chance dinners. This is the Annie equivalent- though obviously something much nicer inside. 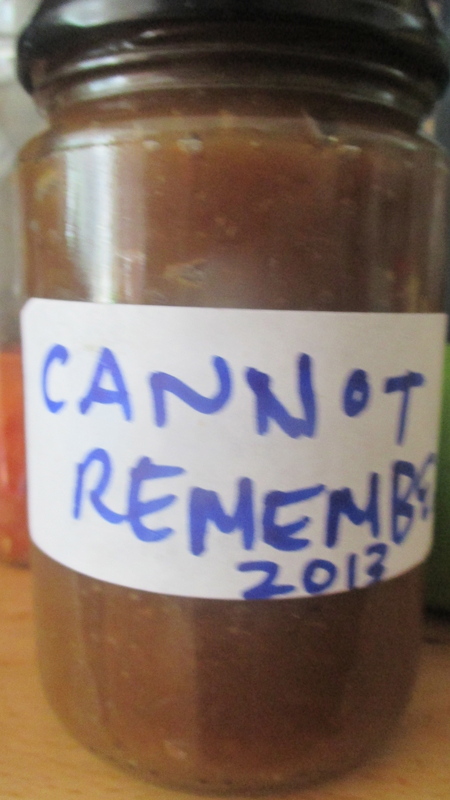 I wonder what kind of preserve “cannot remember” might be? i have a lot of freezer packets like this! When you mentioned pears, my first instinct was Perry. Have you ever made it? It is one of my favourite British tipples. I suspect your scrap vinegar may come close. Yes, Perry is wonderful! Have never made anything alcoholic, have you? I’m going to send you some pear vinegar– email me a mailing address. Re the freezer– snap. I think I’ve read a big part of freezer waste is just due to this kind of disorganisation. My husband is strictly on the label case regarding our freezer. I’m really interested to hear how the scrap vinegars work out! 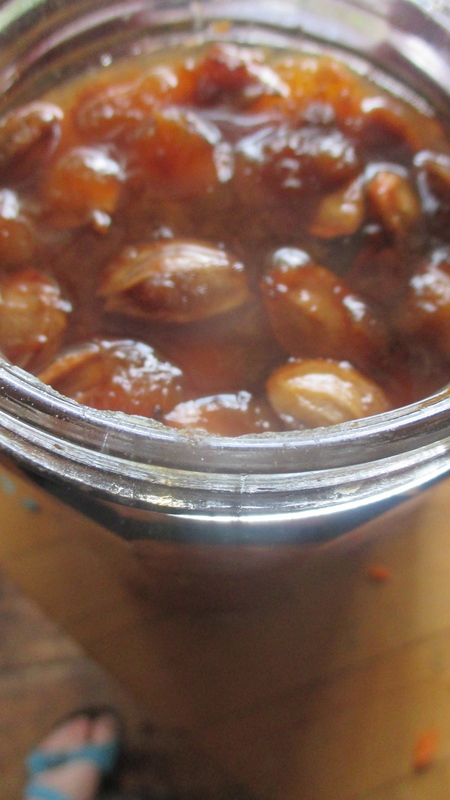 I could never strain the seeds from berry jam for sentimental reasons. My Grandma always referred to it as pippy jam so there presence is obligatory for me.. Even my daughter was sad to see those seeds go! I hear ya! But there is something nice about the smoothness. I really love these scrap vinegars. I drink vinegar (much diluted) and love the flavours, and love cooking with them. Thanks for your comment. HAHA, I love the “cannot remember” label, something I would do, ha. You have so much to do — no wonder you couldn’t remember! My counter is filled with daughter’s spice experiments — named vaguely with creative but nonsensical names. Just as bad. Aneela, please take a picture of those spice experiments with their names. Your daughter sounds fantastic! That jam is a beautiful colour. No need to label that one!